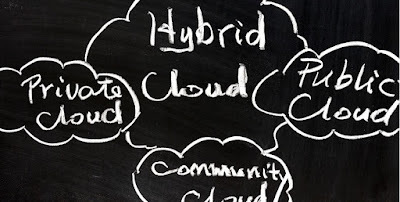 Cloud Musings: Hybrid Cloud Versus Hybrid IT: What’s the Hype? 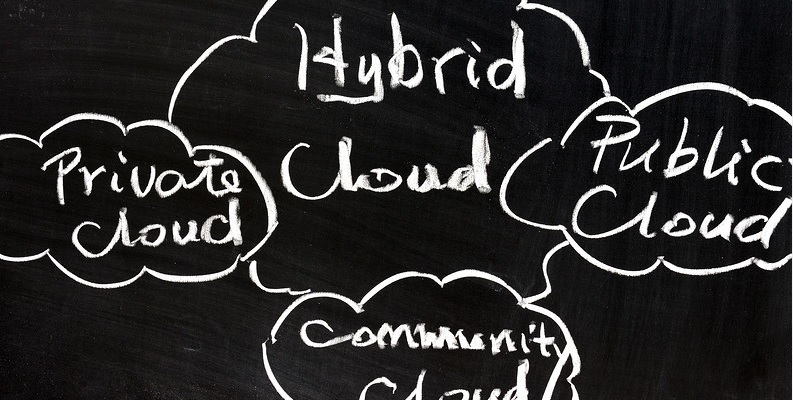 Hybrid Cloud Versus Hybrid IT: What’s the Hype? Once again, the boardroom is in a bitter battle over what edict its members will now levy on their hapless IT organization. On one hand, hybrid cloud is all the rage. Adopting this option promises all the cost savings of public cloud with the security and comfort of private cloud. This environment would not only check the box for meeting the cloud computing mandate, but also position the organization as innovative and industry-leading. Why wouldn’t a forward-leaning management team go all in with cloud? On the other hand, hybrid IT appears to be the sensible choice for leveraging traditional data center investments. Data center investment business models always promise significant ROI within a fairly short time frame; if not, they wouldn’t have been approved. Shutting down such an expensive initiative early would be an untenable decision. Is this a better option than the hybrid cloud? 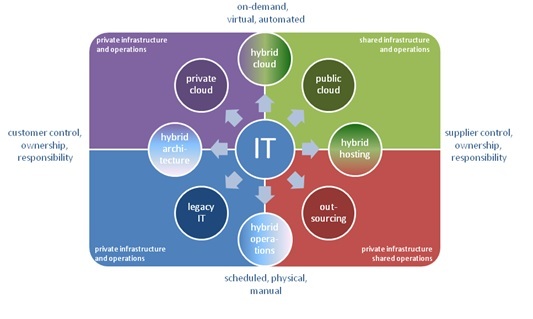 The difference between hybrid cloud and hybrid IT is more than just semantics. The hybrid cloud model is embraced by those entities and startups that don’t need to worry about past capital investments. These newer companies have more flexibility in exploring newer operational options. Mature businesses, on the other hand, need to manage the transition to cloud without throwing away their valuable current infrastructure. They also deal more with organizational change management issues and possible employee skill set challenges. The new, bimodal IT model is also a concern for these enterprises, Forbes reported. Architectural flexibility that allows you to place business workloads where they make the most sense. Retention of technical control by keeping the final decision on if, when and where a multitenant IT environment is acceptable. Staff have the choice on the use of dedicated servers and network devices that can isolate or restrict access. Tighter management control, which often translates into a better ability to satisfy auditors and meet compliance requirements. Enhanced financial management because the company owns and funds the base configuration with a capex budget while simultaneously gaining the option to consume pay-as-you-go resources with opex funds for unanticipated spikes. More technical stability through the use of dedicated servers for baseline performance and supplemental multitenant cloud servers when needed. Enhanced operating system flexibility for testing and evaluation or providing technical customers the option to choose their preferred environment. Promotion and support of innovation with an ability to spin up and tear down cloud servers quickly and easily for proof of concepts, pilots or software trials. These hybrid advantages do need to be balanced with the operational challenges of moving to such a nontraditional environment. Things like automated resource provisioning/deprovisioning, cloud ecosystem management, dynamic service pricing and other IT service brokerage skills are new requirements for most organizations. This type of technology shift may also require many personal and organizational changes as well. Service-centric IT that accelerates business responsiveness. So in the end, the hybrid hype is really about delivering business value. Within these models, technology becomes an ecosystem of providers, resources and tools. Interactions between old and new IT need to be devised, modeled, tested, implemented and improved. Functionally, IT organizations need to manage the end-to-end IT service delivery model. They must be empowered to broker a set of IT services, some of which are on-premises and some of which are off-premises. The task of the IT organization is to offer internal and external customers the price, capacity and speed of provisioning of the external cloud while reducing IT service costs maintaining the security and governance the company requires.